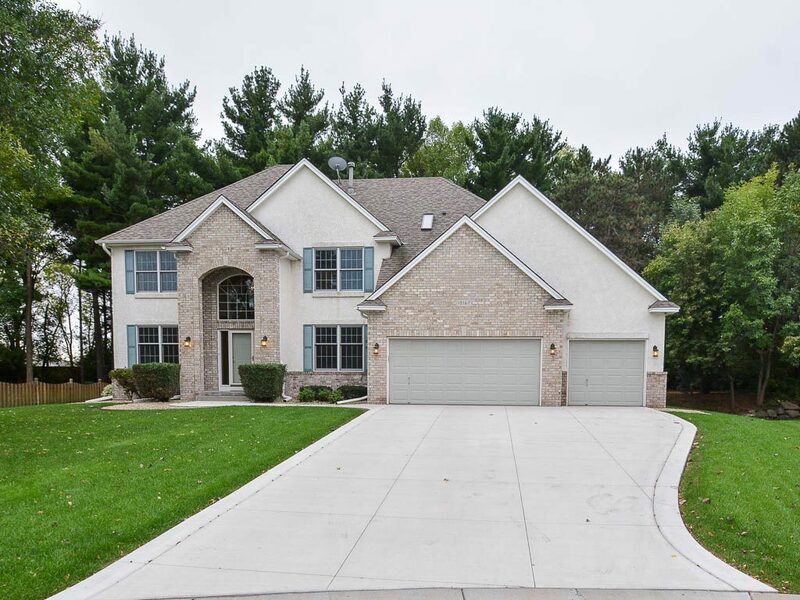 Elegant 4-bedroom home on a quiet cul de sac in Woodbury’s Powers Lake! Stunning elegance in Woodbury’s high demand Powers Lake neighborhood. This home has everything you desire, including a stunning master retreat. Lovely, easy care landscaping includes evergreen trees and shrubs as well as perennial flowers, shrubs and trees as well as an irrigation system. Nearby parks and trails, along with easy access to shopping and freeway make this the ideal location. To schedule a showing, contact John and Becky Durham. Press > to view a guided tour. Explore the space in this 3D guided tour. If you want to take a closer look, hit the pause button (II) and use your mouse or finger to scroll up or down. For instance, you can take a closer look at the 2-story foyer, or those gorgeous refinished oak hardwood floors, simply by moving your mouse up and down during the tour. You can rotate 360 degrees to see every angle of a room. Beautiful yard. You will fall in love with this stately home at first sight. The easy-care landscape includes evergreen shrubs and hostas. The driveway is new (2017) and accentuates the lush lawn. The back yard features a beautiful patio and firepit, ready for backyard barbecues and bonfires. Mature pine trees create the sense of living in the north woods. Functional main floor. As you enter the front door, you will notice the light filled 2-story foyer. A dramatic oak staircase draws the eye up to the second floor. An office with French doors is on your right and to your left is a formal living room with stately columns that define the adjacent dining room. The updated kitchen features gleaming oak cabinetry, granite countertops, double ovens, and a large walk-in pantry. It is open to the spacious family room that includes a gas fireplace. The open floor plan creates an open airy feel for entertaining. An elegant, stately home with an ideal cul de sac location. Amazing master retreat. The luxurious master bedroom will take your breath away. The large suite spans the entire back of the home and includes a bedroom, sitting room, his & hers walk-in closets, and a renovated master bath. The bedroom and sitting room feature a vaulted ceiling and large windows (mature pine trees in the back yard ensure privacy.) You will love the master bath, with two vanities, corner jetted tub, amazing shower, and a private water closet. The second floor also includes 3 guest rooms and a completely remodeled guest bath with upscale tile work and a skylight. Unfinished lower level. Ready for your creativity! The lower level is unfinished, but fully insulated and includes an egress window and roughed-in plumbing for a bathroom. You can add 1,400 additional finished square feet and instant equity! The possibilities are endless! Great Location! Located on a quiet cul de sac in Woodbury’s Powers Lake neighborhood, with easy access to parks and trails, including Powers Lake Park and Colby Lake Park. Just a few minutes from I-94 and US 61, with convenient shopping, dining, and entertainment. This home is walking distance to several restaurants and shops! Desirable District #833 South Washington County Schools. 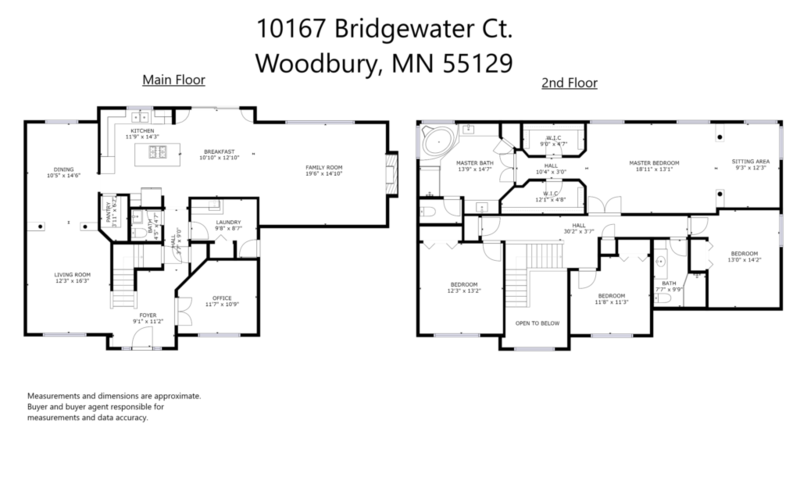 Click HERE for full listing information on this delightful Woodbury, MN luxury home. Information deemed reliable but not guaranteed. Buyer and buyer agent responsible for measurements and data accuracy. "Becky and John Durham, upon selling our Oakdale home, helped us find our new family home in Woodbury. We simply fell in love with the development and the neighborhood. The property is such a great fit... continued"